I think calcium is one of the under-appreciated minerals around. • Worldwide, osteoporosis causes more than 8.9 million fractures annually, resulting in an osteoporotic fracture every 3 seconds. • Osteoporosis is estimated to affect 200 million women worldwide – approximately one-tenth of women aged 60, one-fifth of women aged 70, two-fifths of women aged 80 and two-thirds of women aged 90. • Osteoporosis affects an estimated 75 million people in Europe, USA and Japan. “Men don’t suffer from osteoporosis as often as women, but they are indeed vulnerable. The International Osteoporosis Foundation says that the lifetime risk of experiencing an osteoporotic fracture in men over the age of 50 is 30%, similar to the lifetime risk of developing prostate cancer.” That quote is from my post Are men vulnerable to osteoporosis as well as women? 1. Calcium and Vitamin D are key. These minerals build strong, dense bones. 2. Exercise regularly. You need to do weight-bearing and muscle-strengthening exercise. Walking, dancing and running all help to build strong bones. 3. Eat fruits and veggies that have potassium and magnesium to help neutralize the acids that draw minerals out of the bones. 4. Quit smoking and reduce alcohol consumption. What are Some foods to protect against Osteoporosis? What About When You Can’t Exercise? I know that a lot of people don’t exercise on a daily or even a weekly basis, but exercise in the form of riding my bicycle is a part of my daily life. I am sitting here, granted I am low on energy, but I just looked out my window and watched my fellow cyclists riding on the bike path below. I could feel a void in my day. When I saw the restriction on aerobic activity, I thought it would be a good day to catch up on my yoga, but that seems to qualify as strenuous activity, so that is out, too. While bike riding is aerobic exercise, that is not the reason I ride every day. I look forward to my daily rides because they are fun. I love to ride. There is a sensuous thrill to the wind blowing over my face and the sensation of rolling across the pavement driven by the strength of my legs. 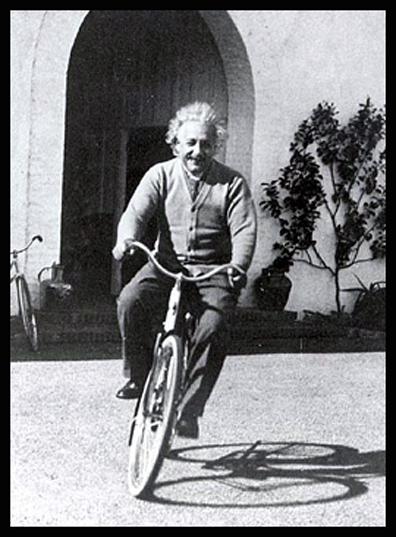 I have included the picture of Albert Einstein riding his bike because it is one of my favorite posters. It hangs in my living room and demonstrates exactly how I feel when I ride my bike. It’s not just that I can’t exercise today. I can’t enjoy the fun of riding today … and maybe tomorrow, too. Besides writing this post, I have some housekeeping projects I can tackle and there is always an errand I can run not to mention several books I have been meaning to dive in to over the past month. If I walk at a reasonable pace on the errands, I can enjoy that without breaking the stricture on aerobic exercise. Indeed, I consider walking to be the ugly stepsister of the exercise world, so all is not lost. You can read my post on Why you should walk more. The old ‘absence makes the heart grow fonder’ adage pops into mind. I will certainly fully enjoy the feeling of mounting my bike and taking off over the smooth pavement when I am free to ride again, possibly as soon as tomorrow. Until then I will make do with the possibility of a walk later and other projects. Count your blessings. Eat less; move more. Post Post Script: After a light breakfast with my girlfriend, I walked the dog and wrote this post. Then I lay down and slept for two hours. I think the Post Operative Case sheet could have said, “Try and do aerobics or something strenuous …” because there is no way I had the energy for either. 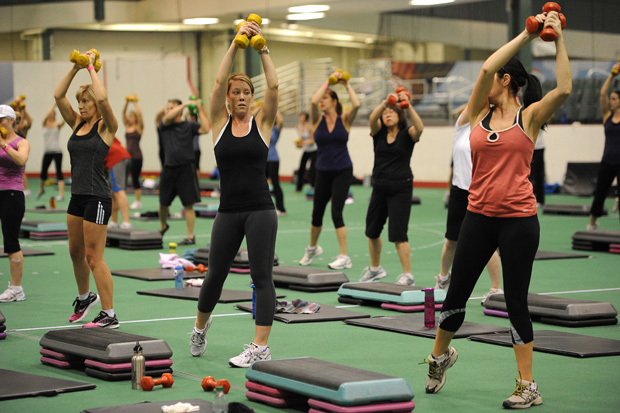 What is the Most Balanced Exercise Program? The more I read and write about exercise, the more the element of balance becomes important. Exercise if crucial to our well being, but it is easy to overdo it, or use bad technique and set ourselves back with an injury. Heaven knows I have had biking injuries galore. So what is the most balanced exercise program, let me count the options. Among the possibilities, are walking, running, weight lifting, bicycling, yoga, tennis, kick-boxing to name a few. WebMD says that walking, weight lifting and yoga constitute the most balanced plan because there are “three different types of exercise: aerobic/cardio (walking), strength training (weight lifting), and flexibility training (yoga). You can take the WebMD test on Fitness Do’s and Dont’s at the link. I really like their breakdown because I consider walking to be the Cinderella sister of exercises. Everyone does it to some extent, but very few people appreciate the benefits. Here are some of my posts on walking.